This week we'll discuss an issue that might seem less exciting than the rest we've seen so far but which was specially demanded by some Audiofanziners. 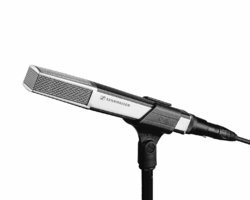 It's basically a lean and mean list of mics and DIs recommended to record an e-bass. I obviously expect (almost) anybody to understand that, by definition, this list can only reflect my own personal taste and experience on the topic. In other words, it's subjective and non-exhaustive. Nevertheless, it might be a good starting point for the less experienced among you and I count on the AF community to help improve this listing! 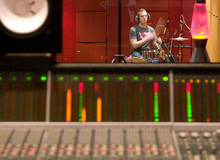 I'll start with the mics to record a bass amp. As mentioned before, dynamic mics are a must due to their ability to withstand high sound pressure levels. The Shure sm57 I used for the audio clips does a good job, but whenever I have the chance to use an Electro-Voice RE20 I don't hesitate for a single moment. Although I don't mind at all using the Shure sm7 for the task. Another useful tool is the Shure Beta 52A. AKG has some classic mics for this, too, like the D 12 and D 112. Likewise, the Sennheiser MD 421 and MD 441 are good choices. And to finish with the dynamic mics, I have also got good results with the Beyerdynamic M 88 and the Audix D6. Now, when it comes to condenser mics, the AKG C414 I used for some clips in this chapter is a classic. Less common than the AKG is the Audio-Technica AT4047, which is nevertheless a great tool to capture the sound of a bass amp. I've used the Neumann TLM 103 several times and always with good results, but if your budget allows it, go for the U47 Fet. Let's talk about DI boxes now. In terms of best value for money I really like the DI output of the Le Bass pedal by Two Notes Engineering, as well as the Tech 21 SansAmp Bass Driver DI. A notch more expensive, but just as reliable is the Avalon U5. Among the lesser known models which have given me great results is the Phoenix Audio Nice DI. But my own personal favorite when it comes to direct recording a bass guitar is the DI of the API 512c solid-state preamp! Sharp and round at the same time, I've lost count of the number of bass lines I've recorded with the 512c. I love it so much that not long ago I got myself an API channel strip for my own personal use. To finish, I would also suggest the Universal Audio 6176 channel strip. Although, unfortunately, I have never had the chance to put my hands on one, many audio engineers whom I admire and who work at the highest levels have separately recommended it as a go-to piece when it comes to direct recording a bass guitar – that's certainly no coincidence! That's it for today, and also for the chapter dedicated to recording a bass guitar in your home studio. See you next year for some new adventures in recording!